messily ever after: seas the day :: new issue monday! seas the day :: new issue monday! Good morning! 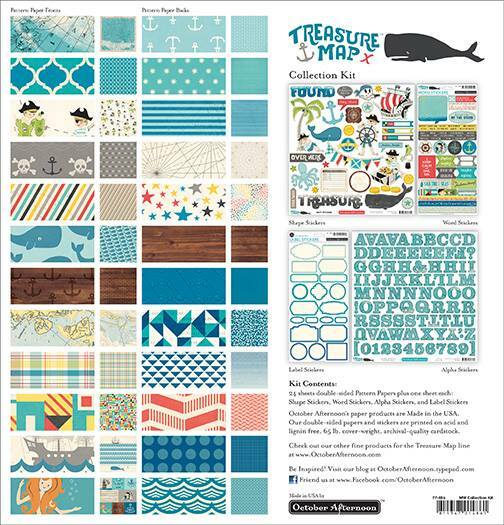 Today, I'm sharing my layout for the brand-new Issue launching today on the Paper Issues blog: Seas the Day! This Issue was sponsored by October Afternoon and the DT worked with the incredible Treasure Map line. 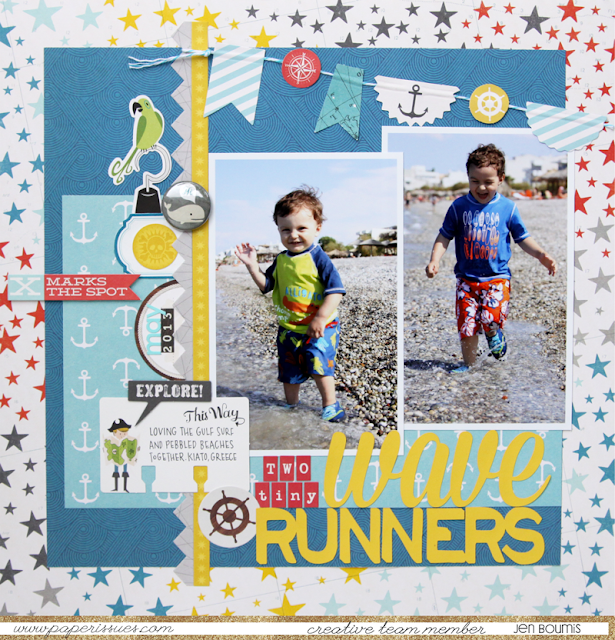 This paper line has so many possibilities but, I used it literally here for a beachy layout using photos from our last family vacation to Greece in 2013. These are my very favorite photos of each of the boys from that trip. Perfect match! This entire layout was made using the October Afternoon Treasure Map line, save the sticker letter (also OA!) and Silhouette cut title. Play along with and LINK UP to Seas The Day and you will have a chance to win this October Afternoon Treasure Map collection pack for yourself. This is a prize you don't want to miss! How to get in the running? 2. LINK UP HERE to the Seas The Day blog post from the web or Instagram. You have until Sunday, July 5th. It's that easy! Need some retail therapy to get you going? Use code JENBOOM in the Paper Issues shop for 20% off your whole order! ooooo love it and look how tiny they were. wow its going fast Jen.